I'm typing this post right after getting home from Cross-over night service in church. I wanted to schedule it earlier but somehow, it didn't feel authentic enough so here it is - My New Year post. HAPPY NEW YEAR, uhm....muah! Thanks for keeping up with me even into this beautiful new year. 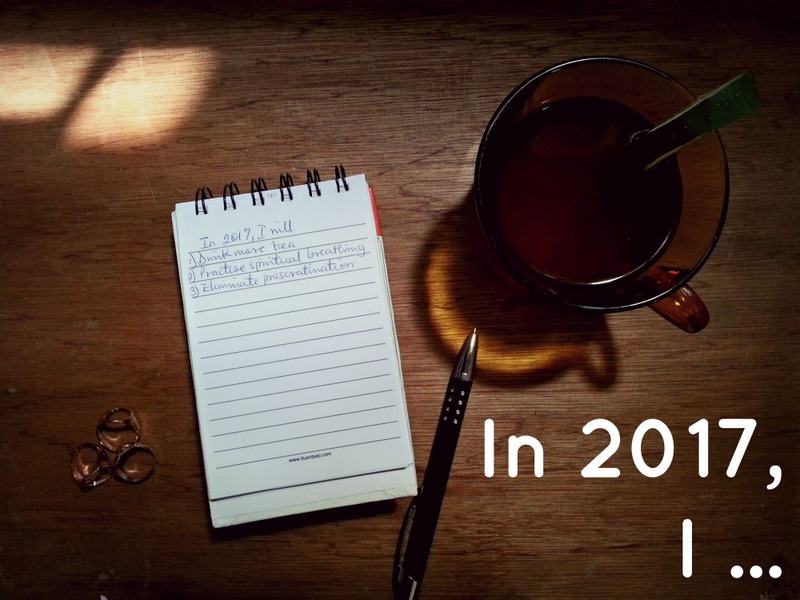 Never, would I have imagined that one day, I'd have a post on this blog about New Year resolutions, I don't think this post is about that though. Considering I don't believe in resolutions and so don't make them, this is more a list of things I'd like to be able to achieve in 2017. Since I'm telling you guys what they are, I'm kinda hoping you'll be able to make sure I get to achieve them in record time before the year is over. I hope we are agreed on this? Initially, I was going to seperate this list into Spiritual, personal, the blog, work etc. but it dawned on me that success in any of these areas is success in all so i scrapped that and just created a general list. Drink more Tea: You might be wondering what this is all about so I'll tell you. I'm one of those rare people who get a a headache from caffeine so there's no coffee in my vocabulary. I suffer from ulcer pangs so I always have to snack. I'm prone to adding weight so snacking sometimes leads to this and I guess you can figure out the rest. If I drank tea (why did I say 'more tea? 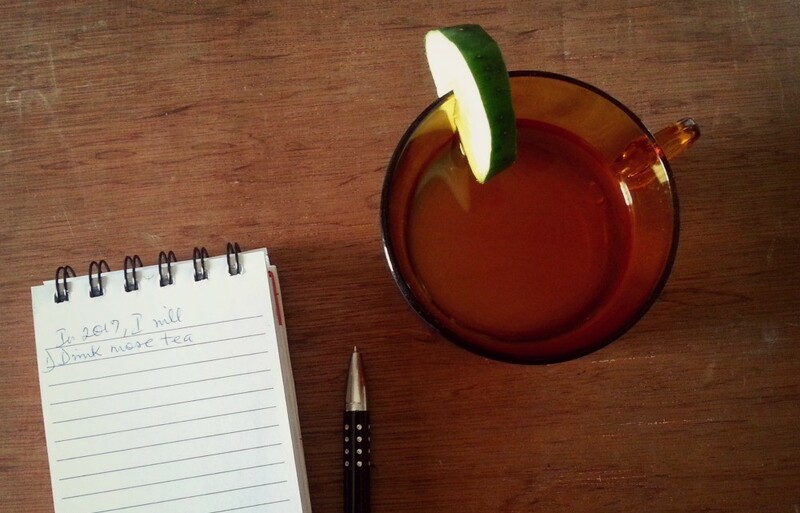 '), I'd be able to soothe the ulcer pangs thus eliminating the need for snacks & fulfil my recommended daily water intake while also benefiting from the numerous benefits that tea has to offer. Right? Practise Spiritual Breathing: Never heard of this? You aren't the only one so of course I'll explain what this is about. 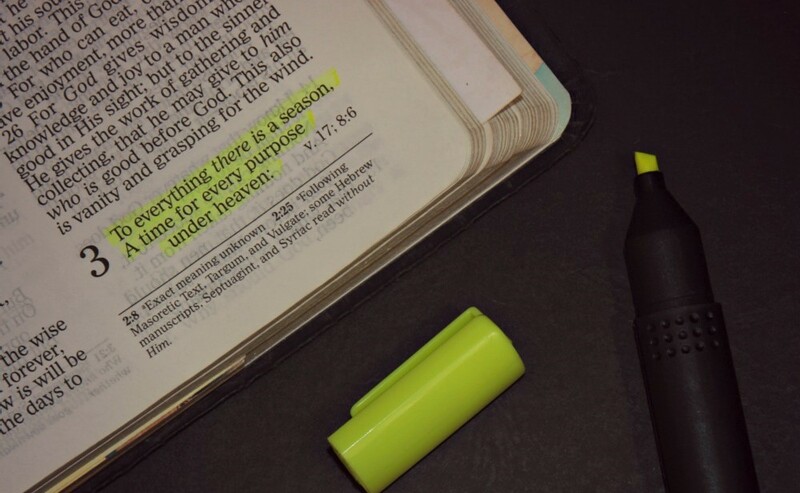 Let's assume you read your bible everyday right? Sometimes, you wonder what the use of it is (I know I do), but did you know that one of the benefits of this consistent habit is its usefulness for spiritual breathing? So spiritual breathing is taking timeouts at numerous times of the day to take every negativity out of your mind and attitude and replace it with the Word of GOD. So, the scripture isn't in vain afterall and you'll learn to retain more of what you read ensuring that understanding from the HOLY SPIRIT flows more freely. Eliminate Procrastination: Do I make plans? Yes. Do I make promises? Yes of course. Do I have a lot of stuff to do at any given time? Uhun. Do I get them all done & fulfilled when I'm supposed to? uhm, not exactly. While compiling this list, it occurred to me that this singular action can yield a lot of result oriented success in my life. This One. Thing. Alone. It will ensure I'm more consistent in everything I do thereby making me more trustworthy and reliable to execute multiple requests at any given time. Procrastination has gots to go! 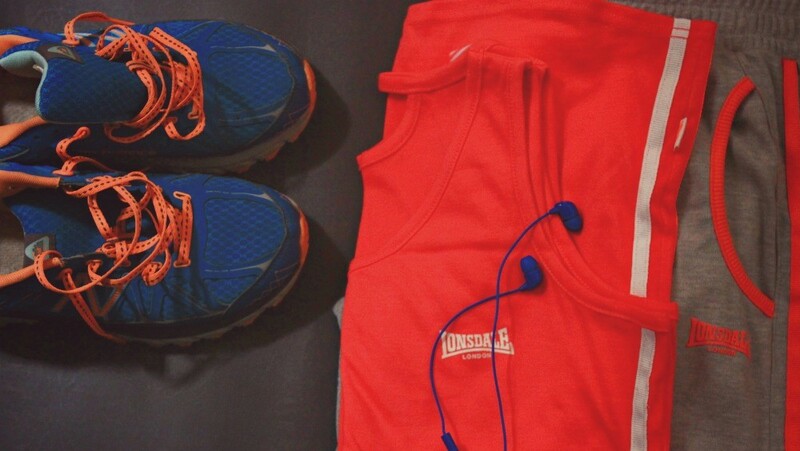 Exercise: I'm an honorary member of the keep fit gang and even have awesome gear to go with it - from my matching Lonsdale outfit to +New Balance shoes & +Happy Plugs for my ears so I'm in sync with the rhythm of the exercise movement. But alas, I've never been able to keep at it for more than 2 weeks. While I get rid of procrastination, I'll be able to work on this too ensuring that my body remains on fleek this year. Wear more Makeup & Take better care of my Skin: a 2-in-1 wish I'd say. 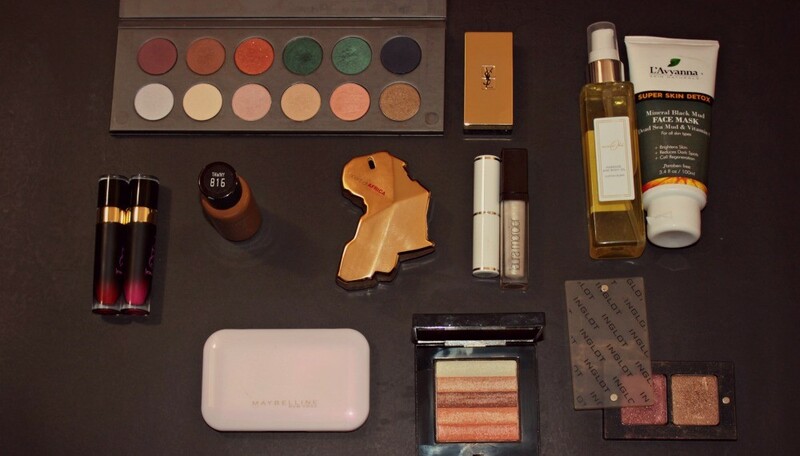 Well, makeup & skin go hand-in-hand so having them together isn't so far fetched...or is it? I don't think so sha. I wear makeup but not more than twice a week, I take care of my skin sporadically thus ensuring that I still suffer from acne and sometimes have the most horrendous spots on my face off and on throughout the year. Remember how I always say my complexion changes during the year? I'm thinking adequate skincare might be able to help with it. I know this won't be easy and will cost me an arm & hopefully just half a leg but I'm really looking forward to having flawless, spot & acne free skin throughout the year. I think my dislike for wearing makeup regularly stems from my disapproval of my face which skincare will sort out = more makeup, lol. There it is, my entire list. Not too long but tackling these will give me the best lease of life ever.